For Jane Iglauer Fallon, assembling a great art show was not just about the works of art; it was about nurturing artists at every stage of their careers. Everyone who knew her knew that helping artists grow was what she loved best about her work as a gallery director. 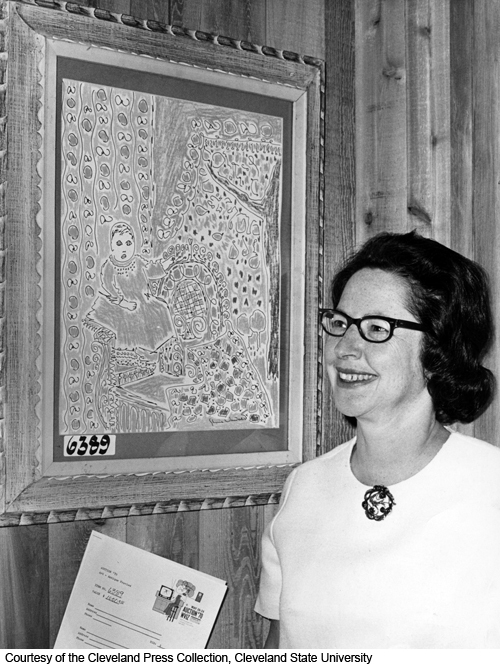 Always known for her good taste and professionalism, Jane quickly earned a reputation for maintaining clean and uncluttered galleries that made artwork the center of attention for visitors. More importantly, she became known as a patron of the arts whose primary goal was to introduce Greater Clevelanders to local artists, which she did for several decades through her directorship of the Play House Gallery and the Women’s City Club Art Gallery. Betsy adds that her mother also loved getting to know artists on a one-to-one basis and especially treasured opportunities to help young artists get established in their careers. She frequently befriended graduates of her alma mater, the Cleveland Institute of Art (CIA), paying them to help hang paintings in her galleries and perform other chores. Jane was born in 1913 in Cleveland, where her father, Jay Iglauer, worked as an executive at the Halle Bros. department store. When she was five, she enrolled in Saturday classes at the Cleveland Museum of Art. She attended Hathaway Brown School and Child Walker Art School in Boston and spent a summer at L’Ecole des Beaux Arts in Fountainbleu, France. Jane studied jewelry and metals at the Cleveland Institute of Art, where she earned a degree in 1937. As a young woman, Jane and a friend opened an arts and crafts shop in the Union Commerce Building in downtown Cleveland. The venture, she later revealed, barely paid for their lunch and rent, but it offered an opportunity for area artists to show and sell their work. She married Harold Fallon, an attorney who went on to become a partner in the law firm of Weston, Hurd, Fallon, Paisley and Howley. He was also the founder and first president of the Cleveland Play House Club. They had two children: Betsy and Anne (Aubourg). The couple enjoyed traveling in Europe, where they toured as many art museums as possible. In 1945, the Play House asked her to create an exhibition space in the theater's lobby. Soon she was running a gallery at the Garden Center of Greater Cleveland (now the Cleveland Botanical Garden) and conducting art classes. 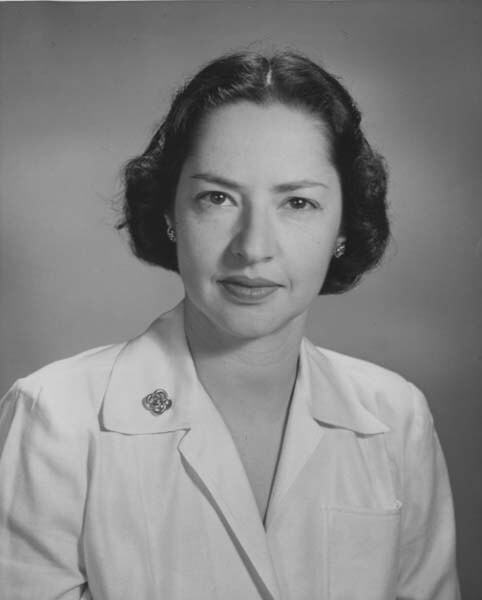 Fallon was the recipient of the Ohio Arts Council Award in 1982 and the Women’s City Club’s highest honor, the Margaret Ireland Award for outstanding civic contributions, in 1985. The Cleveland Arts Prize's Special Citation honored her for providing “artists with an opportunity to become known.” Some 70 artists contributed work to a silent auction at a 1989 event at which she was the guest of honor in a show of appreciation for all that she had done for them. In 1999, she was inducted into the Cleveland Play House Hall of Fame. Late in life, she established the Jane Iglauer Fallon Scholarship for Excellence in Craft at the Cleveland Institute of Art. The merit-based scholarship is awarded to second-, third- or fourth-year students majoring in the decorative arts who have shown great potential.